The Catalog Browser is the new interface for accessing the catalog content. The Catalog Browser is search-based. Enter your search criteria and select from a list of catalog values that match your search criteria. Insertion mode- Insert a component by selecting a catalog value. The Catalog Browser is a modeless palette which means it can remain on the screen while other commands are used. It can be docked, resized, and set to auto-hide. Lookup mode- Assign a catalog value to a component. When assigning a catalog value to a component, the Catalog Browser is a modal dialog and other commands can not be used. Edit mode- Edit the catalog database. You can edit the catalog database when in either the insertion mode or the lookup mode. Edit basic catalog information, and values associated with a catalog value such as pin lists, terminal properties, and conductor lists. Note: Make sure to use the Migration Utility to migrate any custom catalog database files to support symbol insertion from the Catalog Browser. The AutoCAD Electrical Catalog Browser is also available within Inventor. The Electrical Catalog Browser accesses the same catalog database as AutoCAD Electrical. Associate 3D parts to catalog values and insert those parts by selecting the catalog value from the Catalog Browser. 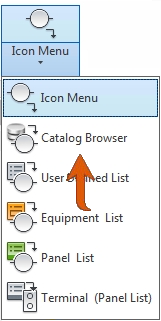 The catalog database editing capabilities are also available using the Catalog Browser in Inventor. 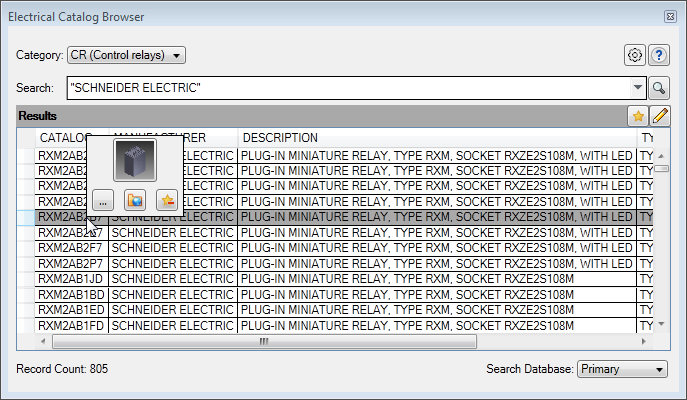 The Electrical Catalog Browser is also available when in the Cable and Harness environment. Select an electrical part from the imported harness data, and insert the part that is associated to its catalog value from the Electrical Catalog Browser. 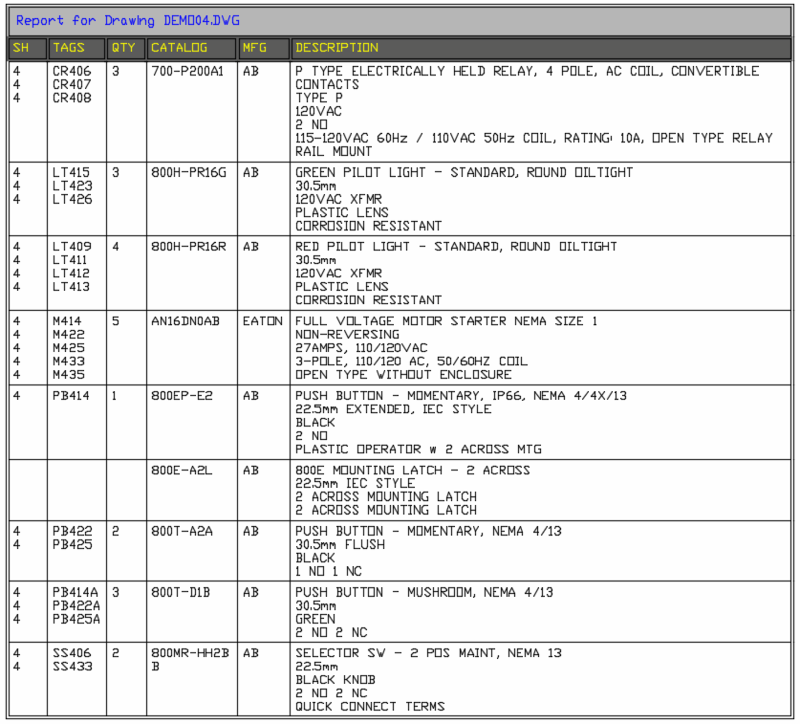 Insert a part from the Electrical Catalog Browser and assign the imported cable and harness data to the part. Note: During AutoCAD Electrical installation, the option to install the Inventor add-in is enabled if you have Inventor 2015 installed. 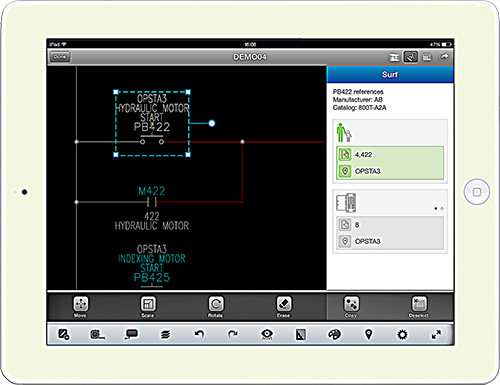 The new mobile companion app for AutoCAD Electrical allows you to connect to your AutoCAD Electrical projects while on the go. Integrate with Autodesk 360 or some other cloud storage for immediate access to your projects and drawings. Integrated with AutoCAD 360 mobile app. Use Design Feed for markup and collaboration. Navigate the project surfing on components, terminals, and signal arrows. If the project and drawings are in the Autodesk 360 folder, they are seamlessly moved to the Autodesk 360 website. Upload projects not located in the Autodesk 360 folder to Autodesk 360, or some other cloud storage, to make them available to the mobile app. Jump between related schematic parent and child components. Jump between related schematic parent and PLC components and panel footprints. Jump between related one-line and schematic components. Jump between related schematic and panel terminals. Follow a wire network across signal arrows. New commands allow you to cut, copy, and paste electrical objects from one drawing to another. Select the objects to cut or copy to the circuit clipboard. Select a basepoint for the objects. Paste the objects on the same drawing or another drawing, using the basepoint to accurately place the objects. Note: Objects placed on the circuit clipboard can only be pasted on an AutoCAD Electrical drawing using the AutoCAD Electrical Paste command. Export the terminal data such as catalog number, terminal number, installation code, location code, tag, quantities, spare, and accessories on a terminal strip to the Wago and Phoenix Contact applications. Assign catalog numbers from the Wago or Phoenix Contact content in a project. Use the Wago Export or Phoenix Contact Export command to export the desired terminal strips to an XML file for import to the vendor tools. The interoperability between AutoCAD Electrical and the vendor tools provides accurate data transfer to reduce errors in a design. 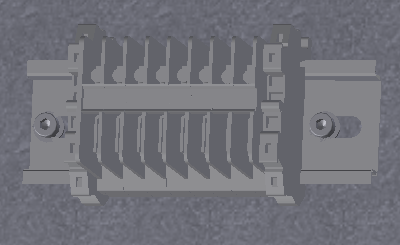 From the vendor tools, save the terminal strip to place in an Inventor assembly. The Report Format Setup now lets you select a table style for report tables. Previously, individual settings such as text height, border style, and title options controlled the look of a report table. By using a table style for a report table, you have control over more settings, such as cell margins, title text height, header text height, and more. Standard paths to library symbols are now saved in the project file in such a way that they update automatically for a new release. Previously if the library path was "C:\Users\Public\Documents\Autodesk\Acade 2014\Libs\jic125" in the project file, you would need to update the project file to "C:\Users\Public\Documents\Autodesk\Acade 2015\Libs\jic125" for the new release. The symbol library paths use a variable to indicate the default library path, for example %SL_DIR%jic125/,%SL_DIR%jic125/1-/. You can now define a User Post option in your report format .SET file. Use the Report Format Setup command to add the options for a particular report. If a User Post option is defined in a report .SET file, it is run automatically before the report is displayed in the Report Generator dialog box. You can also run Automatic Reports using report .SET files containing User Post options. User Post .lsp and .dcl files are provided for each report type. Some of these contain samples of User Post options that you can use as examples to create your own User Post options. Additional Allen-Bradley catalog content and library symbols. Hp/kW converter for the catalog database is available on Autodesk Exchange Apps. Tags in Use dialog box now includes Installation and Location columns to help identify components. Next and Previous Sheet options added to the Title Block Setup and Title Block Update. The Learn page of the New Tab replaces the Welcome Screen. All Essential Skills videos can be viewed from the Learn page. The table of contents is now focused on actions and tasks. Located at the end of each topic are related concept, task, and reference topics. In a Help topic, click the icon button or the find link next to it to find a command on the ribbon, for example Find. An arrow appears, pointing to the command on the ribbon.